“Size 16 Years.” What Does That Mean? 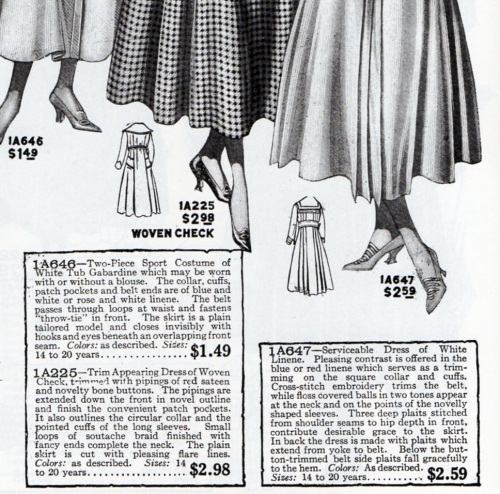 When you’re looking at vintage magazines, catalogs, or patterns, sometimes you run across an item that says “Sizes 14 to 20 years” or “Size 16 years” — as if all 16 year-olds were the same size! 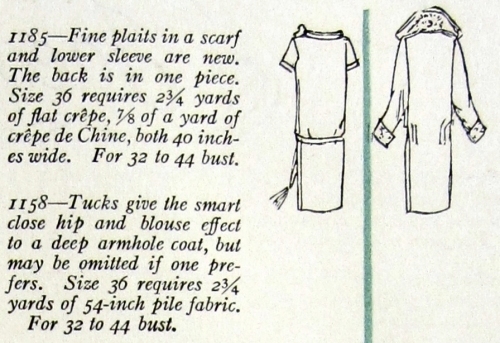 Surprisingly, even magazines that sold patterns by mail, like Delineator and Ladies’ Home Journal, rarely explained pattern sizes in terms of measurements. Often you have to look at an actual pattern envelope to find a chart of size, bust, waist, and hip measurements. 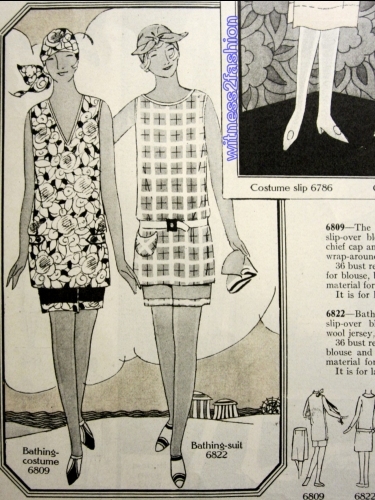 This McCall pattern from the 1930’s says “Size 18.” But what does that mean? Back of envelope, McCall #6815. Corresponding Measurements chart from McCall #6815. 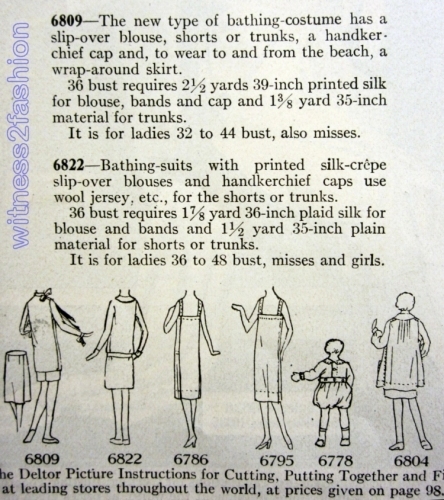 McCall, unlike Butterick, did not say “Misses” and “Ladies,” but notice the sizes: 14, 16, 18, then 36, 38, 40, 42. Size 18 and Size 36 both have a 36″ bust. Enlargement of “Corresponding Measurements” and sizes chart, McCall #6815. The only difference given between Size 18 and Size 36 is 1/2 inch in skirt length. 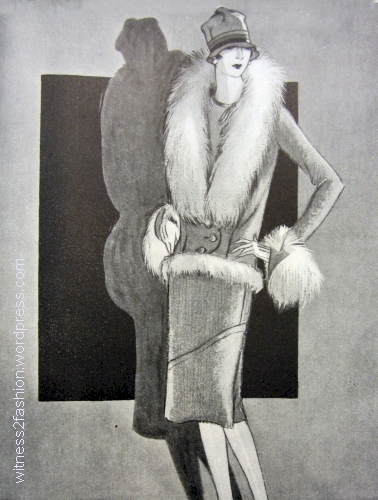 There are no waist measurements — a hold-over from the 1920s, when they were irrelevant. 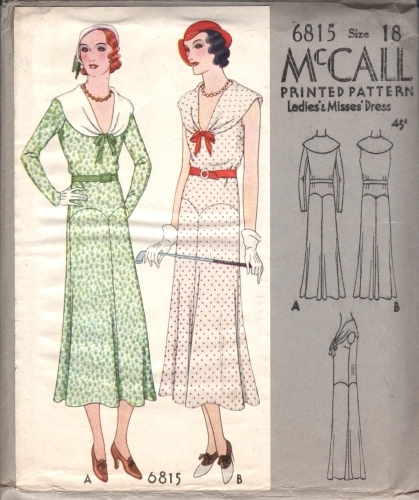 This McCall pattern assumes that, even in those narrow-hipped thirties’ fashions, the average woman would have hips three inches bigger than her bust. Note that the smallest size, 14, is two inches shorter (46″) than the 16 and 18 (both 48″ long), and the Ladies’ sizes are mostly 48 1/2″ long. 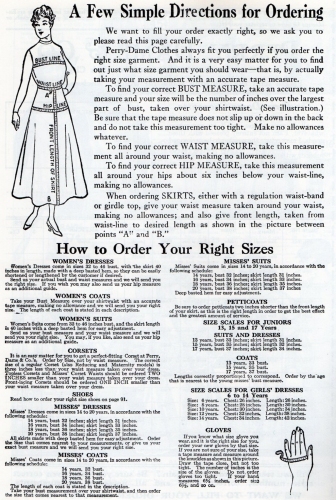 I wonder if size 18 had a shorter “nape to back waist” measurement than size 36, which had the same bust (36″) and hip (39″) measurements; issuing two different patterns for the sake of a 1/2 inch skirt length measurement seems silly. 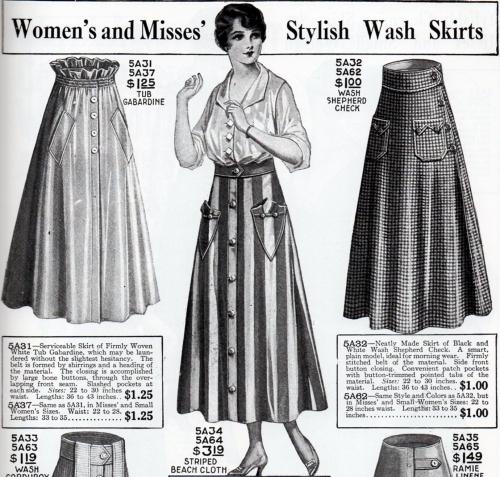 Every pattern company (and catalog company) had its own version of “Misses” and “Ladies” sizing. 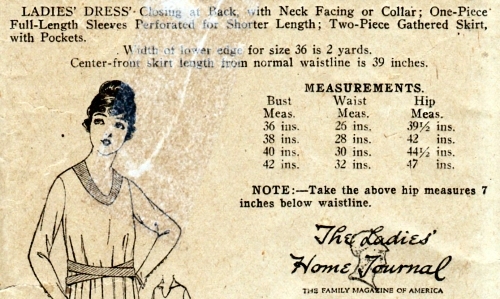 Size and Measurement chart from Ladies’ Home Journal pattern #1583, for a Ladies’ Dress, very late 1910s or early 1920s. 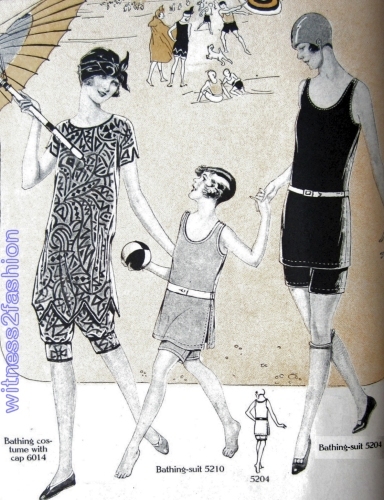 This Standard Designer pattern from the 1920’s . . . 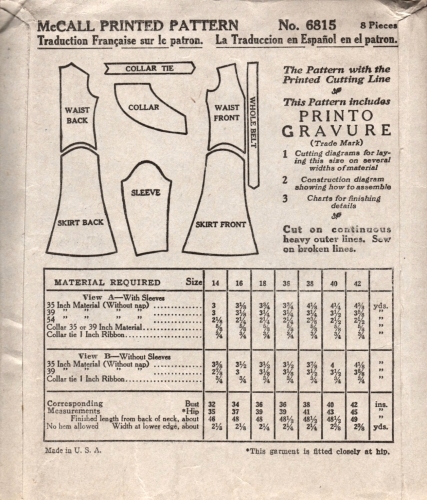 Measurement and size chart from Standard Designer pattern #8626. Notice the difference in “Skirt Length Finished at Center Front below Normal Waistline;” 28 inches for size 16 Years, and 32 inches for all Ladies. Pattern sizes were not standardized among companies until the late 1960’s, which is why the dark pink “New Sizing” box on an envelope is sometimes used for dating vintage patterns. 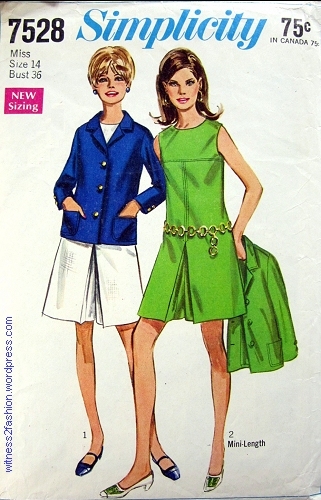 Simplicity pattern #7528, dated 1968. “New Sizing” box at upper left. Size and measurement chart from the back of the envelope for Simplicity #7528, dated 1968. “Juniors” is now the term for smaller, shorter sizes. Perry, Dame & Co. 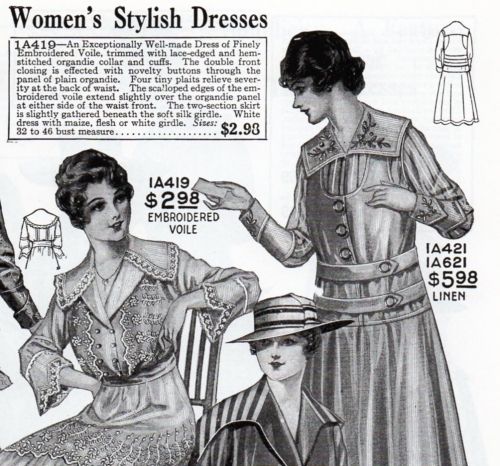 Catalog, 1917: “How to Order Your Right Sizes.” p. 146. Like Butterick, Perry Dame & Company distinguished between Misses’ and Women’s sizes. 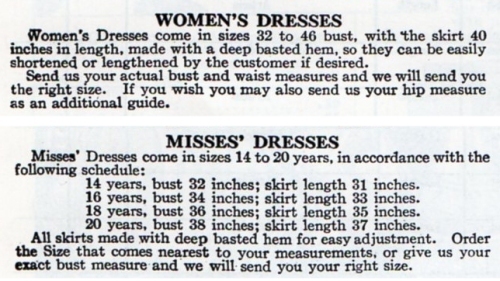 And, like Butterick, Perry, Dame also added the phrase “and smaller women” to some of its listings for Misses. 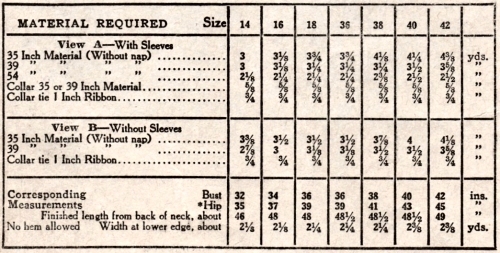 Like Butterick and other pattern companies, Perry, Dame & Company sold Women’s dresses by bust measurement — “32 to 46” in this case. 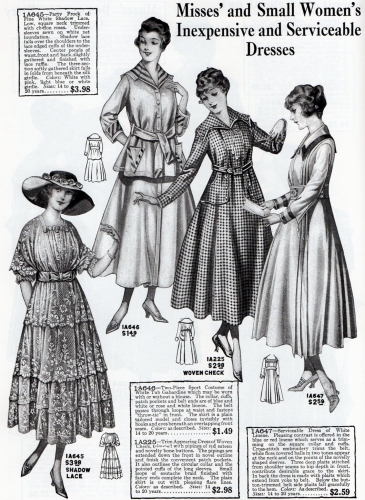 1917 Perry, Dame Catalog, p. 28; dresses for Misses (14 to 20 years) and Small Women. 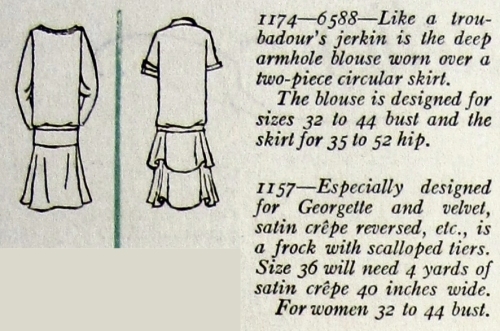 Text of Dresses for Misses and Small Women, p. 28, Perry, Dame Catalog. For the costumer, knowing whether a dress was meant to be worn by a teenager or an older woman is very important. However, it’s clear that it is the size range, not the style, that marks these dresses as suitable to Misses, since they are also appropriate for Small Women. A woman with a waist between 22 and 28 inches would order either skirt #5A32 or #5A62, depending on the length she needed. 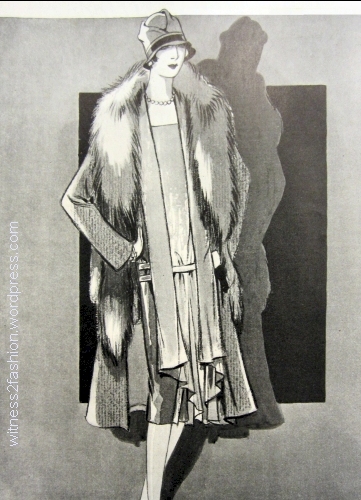 Women’s lengths ranged from 36 to 43 inches. Misses’ and Small Women’s lengths ran from 33 to 35 inches, a considerable difference — 6 or 7 inches — if you had a 28″ waist. 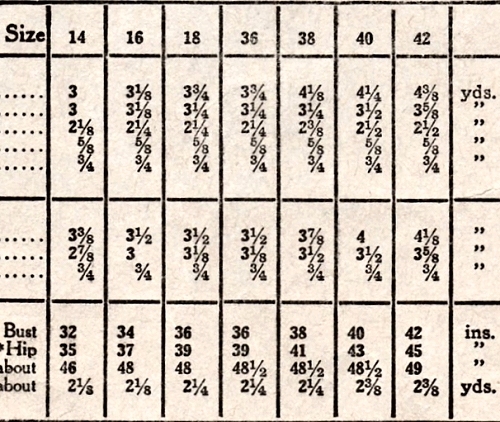 Women’s Dress Sizes vs. Misses’ Dress Sizes; Perry, Dame Catalog, 1917. Exerpted from page 146. All Women’s dresses have a 40″ skirt length measurement. All Misses’ dresses are shorter. 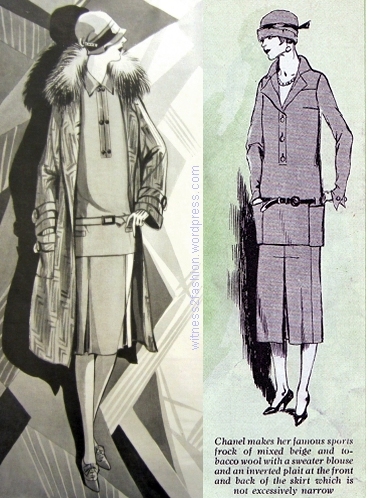 I’ve also noticed that, in the 1920’s, younger women were not necessarily shorter; but they wore shorter skirts than older women. 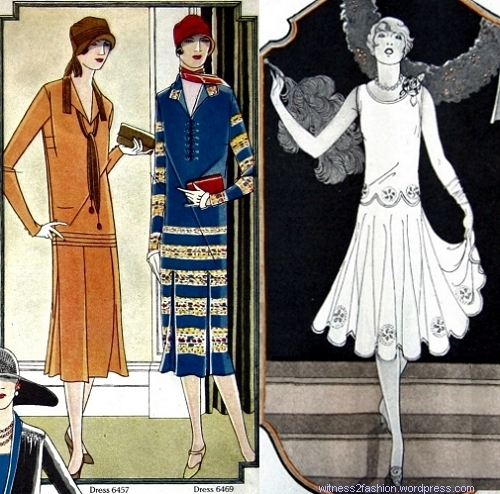 To some extent, the 1920’s styles which seem most attractive to us today are the ones initially worn by Misses and teens. 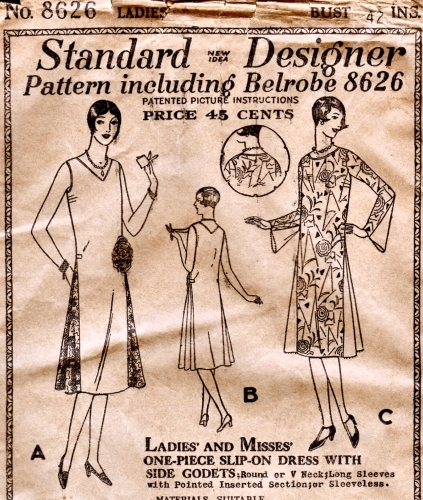 Two Ladies’ patterns, left, and a Misses’ pattern, Dec. 1925. 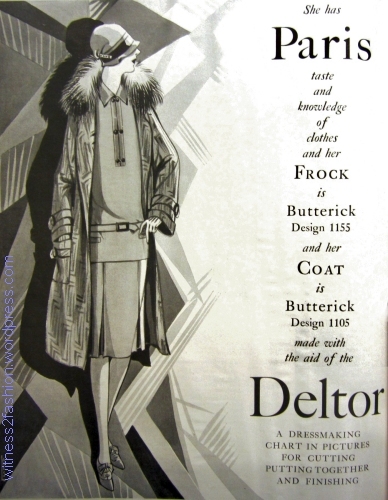 Butterick fashions from Delineator magazine. The Miss is showing a lot more leg. 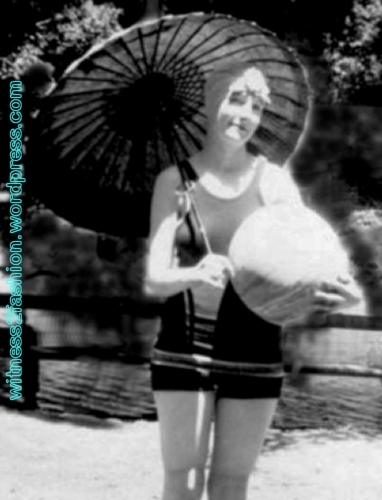 (Teens had been called “flappers” as early as the 1910’s.) 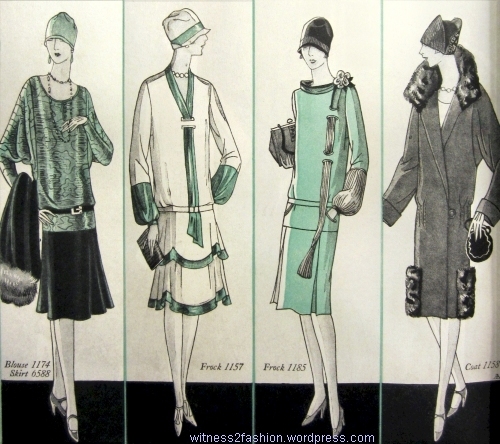 You can see more Misses’ styles for 1925 by clicking here.